It’s the day before the launch of chef Mat Follas’ debut cookbook Fish and he’s busy. Not with a hectic promotional tour, or pre-launch jitters, but he’s just got back to Dorset from a ten-day expedition through the south of France on his scuffed Harley and he’s gearing up for the weekly cycle of running a one-man restaurant. Mat’s recent jaunt is a step up from what he describes in the introduction of his cookbook Fish as “tramping” – an activity that took up much of his teens, as he spent days on end in New Zealand hiking along peninsulas and through National Parks. “I’d survive off dehydrated rations and anything I could find or catch along the way,” he says, describing how he combed the seashore for shellfish and crabs which made simple but delicious meals. There’s almost an Enid Blyton flavour to Mat’s childhood. He paints beautiful pictures of “eel trails across the grass on dewy mornings” and “walks on the beach to find pipis [native clams] and cockles, taken home to be cooked and eaten with some malt vinegar”. But Follas also describes a stepmother “who made no secret of her dislike for parenting”, being sent away to boarding school (“I won’t pretend I enjoyed it”) and fending for himself aged 16 in an apprenticeship at the local naval dockyards. By his mid-20s, Mat had returned to his birthplace, England, and wound up in the capital, more than 10,000 literal miles, and a million figurative miles, from the wild and rugged scenery of his childhood. It was in 2008 that a “spur of the moment decision” shot Mat down an unexpected path, flinging him back to his foraging roots. He applied to the TV series MasterChef, got accepted – and won the whole thing. 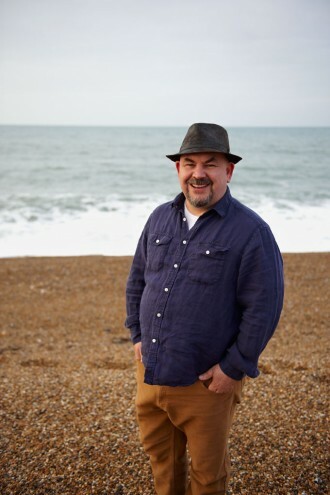 By this time, he had moved to the south coast, and his love of scuba diving had drawn him further and further west, to Dorset, where he used the ingredients he found on his coastal “trampings” as inspiration for his dishes. His winning main course was spider crab thermidor, with mussels, foraged sea vegetables and a side of chips. “I had this dream of opening my own cafe or restaurant – if it turned out I could cook to a decent standard,” he says. True to his word, the year after his MasterChef victory, Mat opened The Wild Garlic in Beaminster, to critical acclaim. Last year, he moved on to a new challenge: The Casterbridge in the heart of Dorchester, which opens for service only on Fridays and Saturdays, supported solely by a one-man kitchen – Mat. It’s just at the start of his weekly cycle that I manage to catch him, to discuss the book he has been writing on the days that aren’t consumed by prep, service, doing the books or any of the million other jobs involved in running a restaurant solo. “Every good chef would say they love cooking with fish,” says Mat when I ask why his debut book focuses solely on seafood, despite The Casterbridge serving everything from pork to pheasant. “You get to do so much work on the animal itself – filleting, skinning, making stocks. I get so much satisfaction from working with fish and seafood.” His priority when developing the recipes for Fish was to make them as accessible as possible, he says. He’s succeeded. 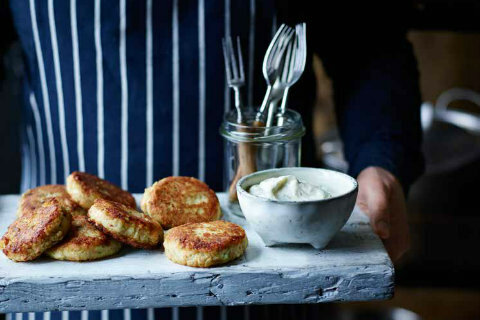 From steaming pies, to elegant broths, trays of whole-cooked fish and (my favourite) a mackerel burger with gooseberry sauce, the recipes and presentation is approachable and fuss-free. 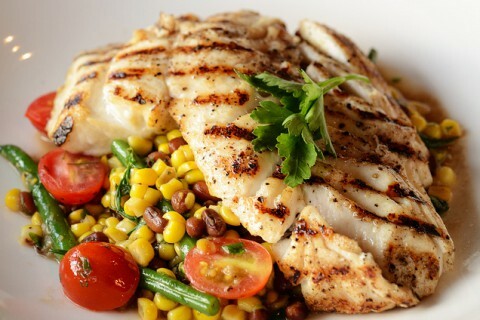 The emphasis is always on the seafood, as it should be. Mat credits photographer Steve Painter for making the book such a success. “My home food is as scruffy as anyone’s,” he laughs. “When I’m in the restaurant it’s a different story – so the trick was to find a half way house. Something more polished than my normal home cooking, but without any of the restaurant serves.” But there’s also drama in Mat’s dishes, which harks back to all that tramping. Foraged seaweed is a common theme. 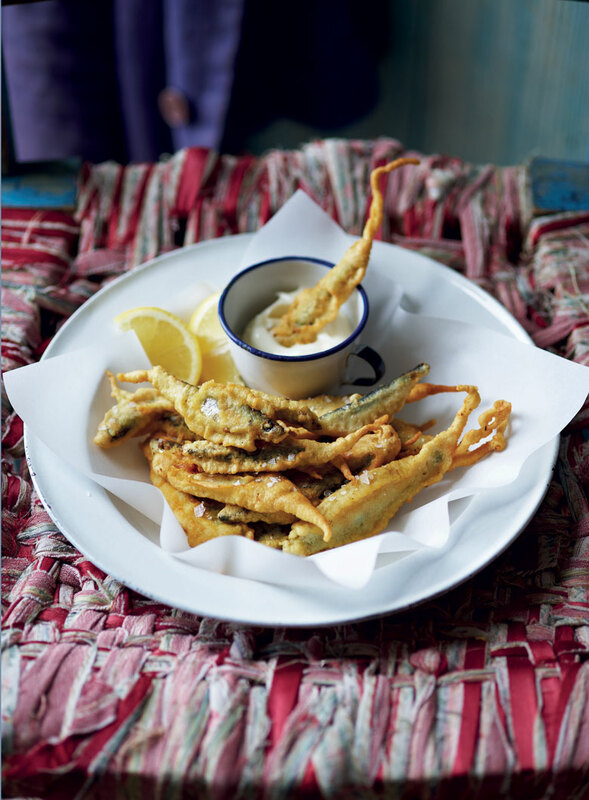 The langoustine cocktail trades traditional lettuce for samphire, while the clams with caper mayonnaise are garnished with tiny little lemon thyme flowers. 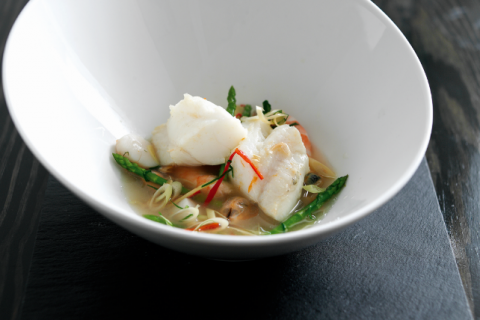 Most dramatic though is Mat’s Rockpool Soup, a dish that was inspired by “childhood holidays spent rockpooling at the beach”. He recommends serving it in a dark-coloured bowl “to mimic a rockpool”, and then cramming the dish with clams, mussels, squid and seaweed – “or winkles, or even a whole cooked crab claw.” A forager’s feast. Mat also speaks enthusiastically about the close relationships he’s built up with local Dorset fishermen when sourcing ingredients for The Casterbridge. But on his nights off, when he’s cooking for his three children, convenience is important too, he says. “I’ll buy an interesting and unusual fish from a local boat or a fishmonger with an understanding of how they were caught. But I’ll also buy for home a sustainable fish from a supermarket. British supermarkets actually do a pretty good job. 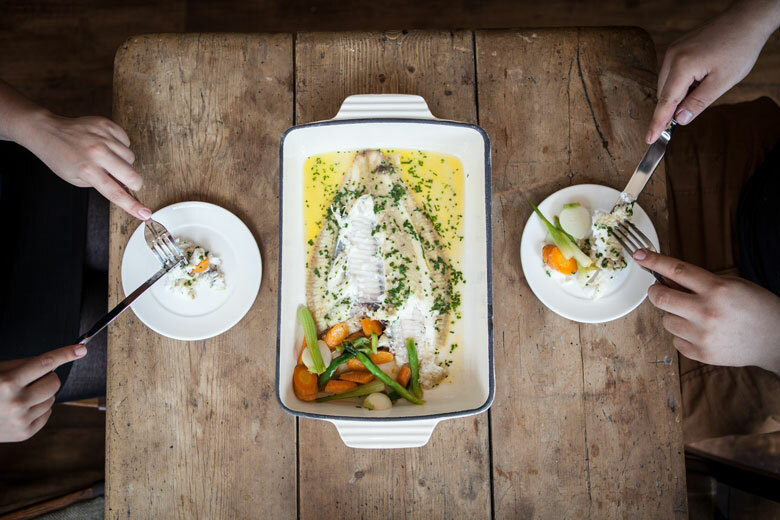 It’s a strategy that requires a little confidence, but it’s a great way of ensuring that your seafood is seasonal, abundant and good value – and it also means you get to try new things. The week before we speak, Mat pulled up his Harley-Davidson outside a French bistro and ordered a steaming bowl of whelks on a grey, windy afternoon. “Delicious,” he grins. “But they were English whelks. 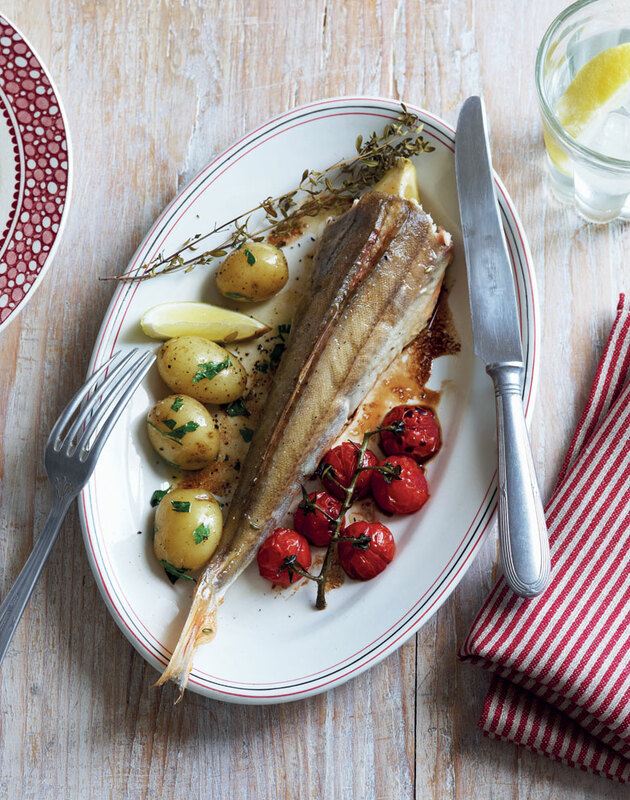 They’re so easy to come by in France, and so difficult to come by in England.” Which is, of course, because the French have traditionally appreciated and valued our seafood more than we have. 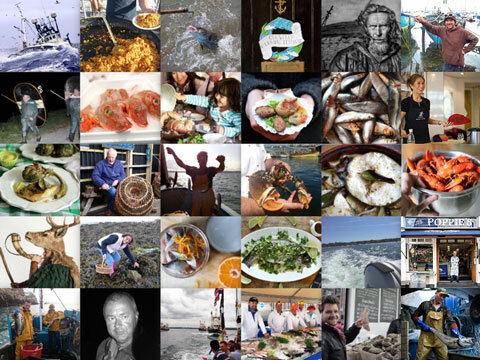 But with books about like Fish, full of recipes that showcase seasonal, sustainable British seafood in all its variety, maybe we’re on the road to change.